2. Copy the theme .mtz file to your SD card in the following directory: MIUI/theme - then open the Theme management app and select to change the lockscreen style. 3. In the list of available themes select the lockscreen package and choose to apply it. Take a look at the screenshots below for more detail of the lockscreen v4 theme. Good news is Pele our resident staff themer has also checked the compatibility of the theme on GB 2.3 devices and it seems to work well and is fully functional! Dont take our word for it, give it a try and let us know what you think! Updated to English, Includes Animation Bug Fix (v2.3), Low Battery, thanks to Pele Roberts our staff theme developer). Got Sgs2, with miui 2.3 gb. All 4 functions work fine here . Miui 4 , 2.3.9 , Nexus S .
Edit : Album art inside the circle is really cool. And functions are smooth. ..Generated from OodieMiui via Tapatalk..
Edit : date under the clock is Chinese. That's the only issue. Album art inside the circle is really cool. And functions are smooth. Updated to address the Animation Issues reported. Freakin Awesome is all I can say. Never a dull moment when your with miui. Thanks guys, so glad I am with miui, no more hassles just perfection, class and amazement every day. Note that this is also applicable to miui gingerbread roms. I am on miui.us 2.2.10 and this ls doesn't work. It applies, but it doesn't show anything and I can't unlock my device. I think not compatible miui v4 ics rom i m right? I thinknot compatible miui v4 ics rom i m right? its for v4! read the title of the thread! 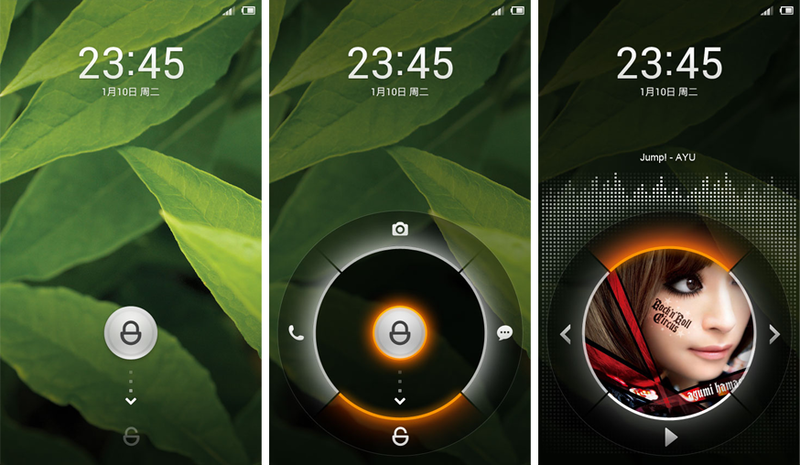 This lockscreen compatible Andy rom miui ics v4 2.3.2 v2.1 ? Is it compatible with gb roms? Because on my phone, it did not work! its MIUI v4 / GB supported, dont know what else I need to say? worked on the i9000 GB. It's working on my SGS with GB MIUI, although the animation is kinda broken. Don't know why, maybe it's cause of the German language I'm using?! yes probably the language your using. Works ok in English. Smooth on sgs2 gt-i9100. No Problems as usual, awesome.